DALLAS (SMU) – SMU alumna Patsy Pinson Hutchison ’54, a devoted University supporter, passed away on May 15, 2018. 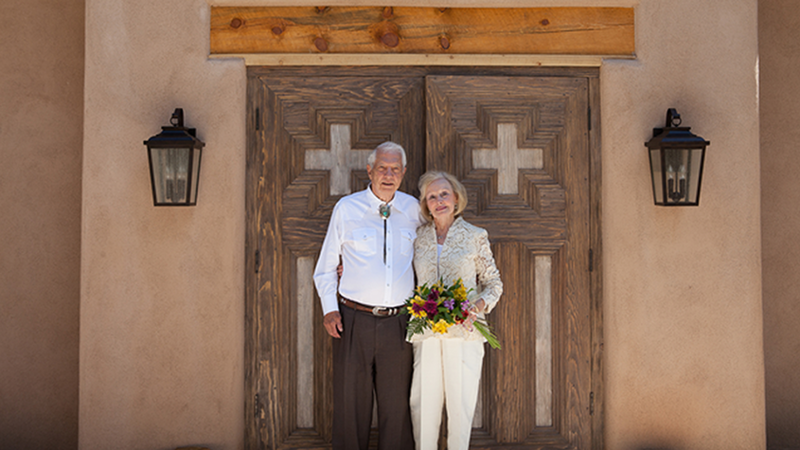 Along with her husband and fellow alumnus, Bill, the Hutchisons have long been familiar figures at the SMU-in-Taos Cultural Institute at SMU’s campus in Taos, N.M., supporting The Chapel at Fort Burgwin, which was dedicated in 2014. 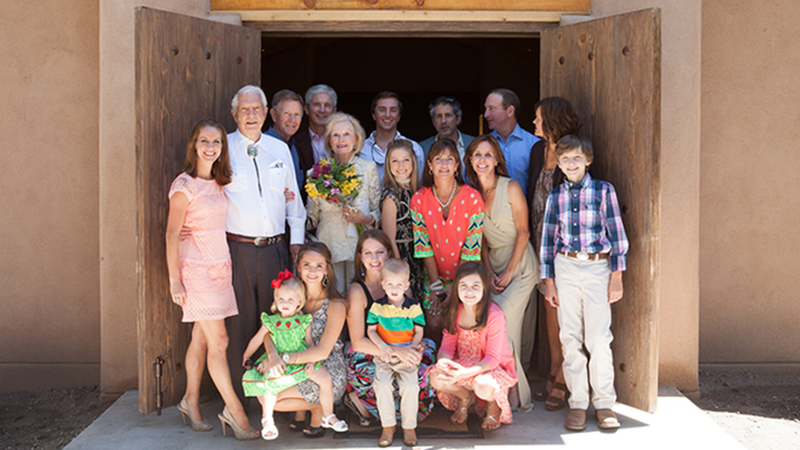 Mrs. Hutchison earned a Bachelor of Science degree in education from SMU and was a member of Pi Beta Phi sorority. She served as vice president of the SMU Mother’s Club and on the reunion committee for her 50th reunion year class in 2004. A noted civic and community volunteer in Santa Fe, N.M., where the Hutchisons reside, she served on the boards of Kitchen Angels – an organization that provides meals for the homebound – and the New Mexico Governor’s Mansion Foundation. She also was involved with the Santa Fe Garden Club. While the Hutchisons lived in Dallas, she was a member of the Junior League of Dallas. Mr. Hutchison ’54 is an SMU Trustee Emeritus, serving on its board from 1981-1987. In addition to The Chapel at Fort Burgwin, the Hutchisons’ generous support includes the Ima Leete Hutchison Concert series at SMU-in-Taos. They supported many other initiatives at SMU, creating endowed chairs, scholarships and program funds such as the Ima Leete Hutchison Endowment in the Meadows School of the Arts.